We all probably knew it was inevitable. After all, time, tide, and technology wait for no man. Yesterday, JVC the company that invented the VCR announced that they are no longer manufacturing the device. Now I think it's safe to say that most of us have moved on from that format and probably haven't even thought about using a VCR in several years. I've kept a couple around the house simply because the younger Fluckes use them to watch VHS tapes given to them over the years. Personally, I can't remember the last time I actually used one of them. However, if you are someone who has a lot of treasured family memories on tape, you should probably be looking at buying a backup device or having the videos transferred to some type of digital medium such as DVD's. I'm sure that some of you have wedding videos or videos of your children that you would hate to lose. JVC will continue to manufacture their combination DVD and VHS units for a while longer, but the writing is now on the wall. The original time shifting device is now in its death throes. Time marches on. FAR HILLS, NJ--(Marketwire - October 24, 2008) - Clean Machine Inc., a global provider of remotely administered PC security and performance management services, has teamed with Amazon.com to make its highly customized PC Concierge service -- a preventative service to protect computers from common performance and security issues -- available for purchase on Amazon.com. Clean Machine's unique and highly efficient model for service delivery is the lowest-cost, quickest, safest and easiest way to keep computers running fast and safely. New and current PC, Mac® and peripherals owners can purchase the service on Amazon.com for $119.99 annually to receive relief from the adware, spyware, viruses and other performance and security problems that continually plague PC users. Clean Machine software comes on a USB drive that is shipped to customers, and allows consumers, small businesses and other computer users to proactively prevent malfunctions from occurring to their PC or Mac. 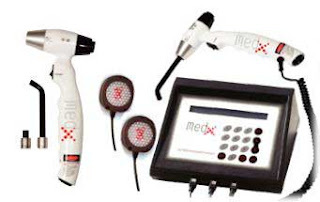 Customers also receive unlimited repairs, advice and helpful tips from their own personal technician. Clean Machine has the most advanced security in the industry. It includes strict privacy policies to assure consumers that their information is safe and secure, and a five-part security program that is backed by AIG. "As the leader in online retailing and consumer electronics, we are very pleased that Clean Machine services will now be available to Amazon.com customers," said Larry Gordon, Clean Machine CEO. "We want to enhance the online shopping experience and other computing experiences for Amazon.com's millions of customers as much as possible. Clean Machine was founded because the average home-based and small business PC user is looking for simplicity, performance and value. In these tough times, computer owners don't want to pay up to $250 and sometimes more to get their computer fixed. Clean Machine provides a much lower-cost alternative while offering substantially more service and better value." The result is a frustration-free experience and a protected, high-performing computer. "Many of the services Clean Machine offers are the kind of standard checks that all of us probably should be doing on a regular basis but don't," said Kurt Scherf, vice president and principal analyst with Parks Associates. "In addition to checking for and eliminating malware, running disk defragmentation and ensuring the proper configuration of applications such as Windows Firewall™, Clean Machine also provides important customer assurance features. Features such as the detailed activity log that shows exactly what services were performed by the PC Concierge, and providing clearly defined security and privacy practices (including carrying significant liability insurance) are critical components to building consumer confidence in the effectiveness and safety of remote support providers." iKey has a sweet new keyboard that seems to be built to thrive in a dental environment. 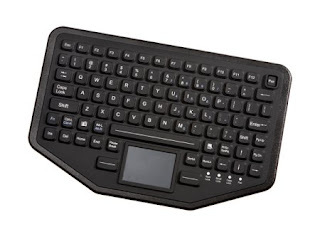 The new keyboard is called the BT-87-TP (don't these people think about the names of some of these devices?) Despite the confusing and hard to remember name, this baby has some serious things to offer in the clinical dental environment. Check out the press release and see why I'm excited about the potential for this device. to carry the keyboard from workstation to workstation." processing, and other environments where rugged flexibility is important. harsh, dirty, dusty, wet, and corrosive environments. environmental reasons. Each BT-87-TP requires two AA batteries. Kingston is known for storage and memory. 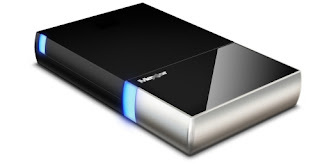 They are now bringing the largest jump drive in company history to market. The 32GB DataTraveler 150 is a monster capacity drive the size of a pack of gum. guaranteed five-year warranty and 24/7 tech support. Genius (www.geniusnetusa.com), a division of KYE Systems Corp., announced today a new gaming joystick series that helps simulate a real-life flight experience. Each joystick in the MetalStrike series has a turbo function, while the MetalStrike FF and Pro joysticks feature a force feedback function that lets the user feel the affects of simulation games by causing a vibration when the user bumps, crashes or shoots when playing air combat games that simulates real flight action. The MetalStrike Series joysticks have 13 programmable buttons, an eight-way “point of view” hat switch, and a turbo function for auto-repeat so the user can fly their aircraft just like a real plane. Each joystick has a four-axis design including the rudder, which is ideal for simulated flight games and provides Aileron, Elevator, Throttle, and Power controls. In addition, the Genius MetalStrike FF and Pro Joysticks feature an innovative air control function, which includes three levels of air control to keep hands cool and dry for longer playtime while feeling every bump and shake of the flight. The MetalStrike 3D Joystick is priced at $26.99 USD, the MetalStrike Pro (featuring different levels of vibration feedback) is priced at $39.99 USD, and the MetalStrike FF Joystick (featuring force feedback) is priced at $69.99 USD. The MetalStrike PC Joysticks Series are currently available at New Egg.com, Amazon.com, Comp USA, Mac Mall, Tiger Direct, Buy.com or other retailers and distributors listed at http://www.geniusnetusa.com/buy.php. Stylz has come up with a nifty idea. They are manufacturing and selling a line of premium covers for Amazon Kindle users. 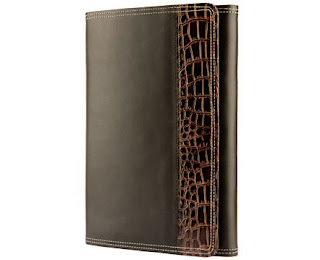 The covers are leather with crocodile elements and white stitching. Cut out on the back for on/off buttons. Switch the buttons without taking the Kindle out of its cover. If you are interested, take a look at the product (available for pre-order) by clicking here. Epocrates Rx Pro drug and ID guide is now available for BlackBerry devices. Plus, pill pictures, MedMath tools and memory card support are new and free! Our information is developed by healthcare professionals, with this edition specifically formatted for BlackBerry devices. *Special features include Pill ID, which enables you to identify a pill based on its physical characteristics, plus pill pictures within the drug monographs. Although it is only in prototype stages at this point in time, a Japanese engineer may have discovered a way to do away with the needle part of the injection process. Called "Mother's Kiss", the device uses tiny plastic ampules to deliver medications without the need for the needle. This could be a big change for the entire medical field. Needle phobics (and there are many folks with this fear) could finally get injections without the fear of the cold steel. There is a video of the device here on the National Geographic website. Here's a pretty cool idea from SureFlap. In the old days, a pet door would keep the elements our, but that was about it. Any pet could simply nose the door open and come on inside. Not the most secure system to be sure. SureFlapTM cat flaps recognise the ID chip already implanted in your cat, allowing access to your pet and making unwanted visitors a thing of the past. Your home becomes a secure environment for your pet, leading to a happier, more relaxed animal. No need for a collar or tag which can get lost or even worse caught on branches, etc. Operation of SureFlapTM couldn’t be simpler. Once the unit is installed and the batteries put in place, the flap can be put into learn mode. The next time your cat passes through the flap, the unique ID code of its chip is put into memory. Now SureFlapTM unlocks whenever your cat wants to come into the house. Multiple cats are no problem. Up to 32 cats can be programmed into the flap at the same time. Typical battery life is greater than 6-months. A low battery indicator is provided to tell you when replacement batteries are needed. The 4-way manual lock allows you to lock the door in any combination of in/out. For example vet mode allows your cat to enter the house but keeps him inside for the next trip to the vet. A total of thirty 1-hour web seminars (www.oralhealthwebinar.com) are to be conducted between October and December, and will be presented by a rotating roster of clinicians who are leading experts on this compelling and highly relevant subject. Please click this link for for more information and complete web seminar schedule. Patterson Dental Supply, Inc. announces the release of CAESY Enterprise 7.0, the newest version of server-based patient education software for both operatories and the reception area. More than 80 new and updated presentations in CAESY Enterprise 7.0 promise saved time for office professionals, reduction in the number of repeated procedural explanations, and an increase in case acceptance rates. CAESY Enterprise 7.0 will begin shipping to customers in November. There were rumors a month or two ago about the Amazon Kindle being updated. Version 2.0 was rumored to be coming before the 2008 holiday season. However, about as fast as the rumors appeared on the scene, Amazon moved to squash them. They stated that at some point in time there would be another version, but it wouldn't be until late second quarter 2009 at the earliest. Well, now how do you explain the picture above? 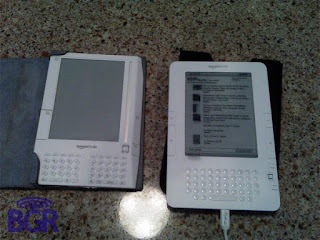 Although it's not available yet, the photo is either of Kindle 2.0 or a very good job of faking it. Rumors are a joystick instead of a scroll wheel, no integrated SD slot (but 1.5Gb of memory), rounded edges, and more ergonomically placed page buttons. Not sure if this is the real deal, but it is interesting nonetheless. A special thanks to my good friend David for giving me the lead on this. As Kermit says, "It's not easy being green." The concept of course is a fairly simple one. If we all do a little, it adds up to a lot. In the last couple of years I've found myself trying harder and harder to be green. It's not just good for the environment of the present, but hopefully it makes things easier for our children as well. Environmental sustainability is important to us at Western Digital. One of the best ways we can make a positive impact on the environment is to help our customers PC, server, consumer electronics and external hard drive manufacturers - offer products that consume less electricity. To that end, WD has designed eco-friendly hard drives with GreenPower™ Technology for WD® desktop, enterprise, CE and external hard drive products. Based on extensive customer input toward supporting ENERGY STAR 4.0 compliance and incorporating the latest in engineering technology we developed this platform to bring more energy efficient hard drive options to our customers. As hard drive capacities increase, the power required to run those drives increases as well. Currently available 1 TB hard drives have a typical power consumption rating greater than 13.5 watts. 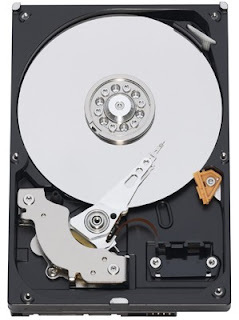 WD has designed the first 3.5-inch hard drives that deliver power savings as the primary attribute. Green drives from WD yield average drive power savings of 4-5 watts over competitors' drives while maintaining solid performance. That power savings equates to reducing CO2 emission by up to 60 kilograms per drive per year - the equivalent of taking your car off the road for 14 days each year. This new platform makes it possible for our energy-conscious customers to build systems with higher capacities and the right balance of system performance, ensured reliability and energy conservation. A rechargeable battery that gets 90% of its charge in 10 minutes? Wow, this seems to good to be true (and maybe it is, at this point who knows? ), but Toshiba is announcing a "Super" battery that can do just that. The company claims that a 10 minute charge can give the batteries a 90% of their power. 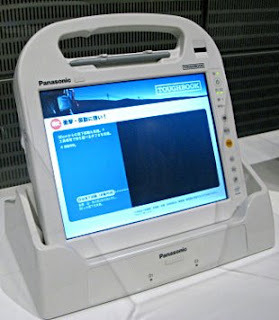 The battteries, called "Super Charge Ion Batteries" of SCiB have been shown in Chiba, Japan. The batteries should last between 5000-6000 charges which is way more than the current crop of rechargeables which last only about 300-500 charges. There is no indication when these batteries will hit the market, but if all of this is true, we should be beating a path to the door of the stores that sell them. Fast charging and longer lasting, these things are doublely green and have plenty of juice to boot. Geeks rejoice! 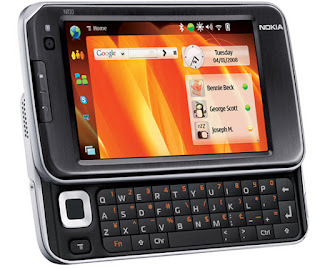 It used to be that if you had Sprint as your wireless provider, you could download music to your phone and then transfer it to your PC. This would allow you to have 2 copies of the music and it would play on either platform. If you've been enjoying that option, get ready for the fun to end. As of October 14, Sprint will no longer allow that music to play on the PC. You can still back your music up to a PC, but the music will only play on the device that downloaded it from the wireless Sprint store (meaning your phone). I'm not sure why this is, but the change is coming. Chill Mat - USB powered 2 fans to efficiently remove heat and keep your lap cool. Accomodates all Macs up to 17 inches. ANAHEIM, Calif., - September 30, 2008 - Targus Inc., maker of the world's top-selling laptop computer cases and accessories, announced today it is launching its first line of notebook accessories specifically designed for Mac notebook users. The new family of products is designed from the ground up to deliver a complete suite of Mac-exclusive solutions and includes a Wireless Mouse, Bluetooth® Laser Mouse, Bluetooth Presenter, USB Hub, Chill Mat™, File Share Cable and Privacy Screen. Each product is developed with materials, ergonomic attributes, technology innovations, functionality and aesthetics designed specifically to meet Mac users' wants and needs. Drawing on the popularity of the iPod® Touch, the mice and presenter feature the most current touch scroll technology, delivering unprecedented ease of navigation. With its first line of Mac accessories, Targus offers Mac enthusiasts cutting-edge products with feature-rich functionality and Mac-focused designs. The new line complements the Apple® style with clean, sleek and trendy form factors that exude simplicity and sophistication. In addition, continuing with Targus' Eco-Smart™ campaign, all the packaging includes eco-friendly materials featuring up to 70% post-consumer paper materials and highly recyclable PET. "The new Targus for Mac line was created with Mac user input throughout the design and development process, and while it has a distinct Mac aesthetic in terms of look and feel, it offers much more than that," said Bob Shortt, sr. vice president of sales and marketing at Targus. "We designed the functionality required to deliver what Mac users want in their products, like the intuitive interface on the presenter, the smooth-moving touch scroll and the dual programmable buttons that let users personalize their experience." Both new mice are equipped with the latest in touch technology, our 4-way touch scroll provides smooth, rapid scrolling, move up/down and left/right with just the tip of a finger. Additionally, the mice allow Mac users to personalize their mouse functions with two programmable buttons that instantly give users access to the functions or applications they use most. The ergonomic size and shape of the mice create a comfortable and supportive experience that cradles the hand during use. 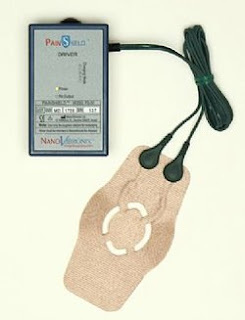 Equipped with a Power Indicator Light, both mice inform users of low battery power. The Wireless Mouse for Mac features a RF 2.4 GHz Micro USB receiver, which plugs into a USB port, allowing unencumbered free range of motion; the micro receiver stows conveniently into the Wireless Mouse for travel or storage. 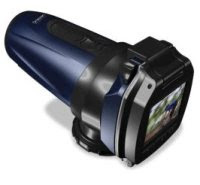 1200 dpi optical sensor technology ensures accurate movement on the screen. The Wireless Mouse for Mac measures 4.64" x 2.51" x 1.45", weighs 4.7 oz and has an MSRP of $49.99. With top-of-the-line Bluetooth technology, the Bluetooth Laser Mouse for Mac offers the ultimate ease in wireless connectivity and eliminates the need for a receiver, preserving a USB port for other devices. Whether used with or without a mouse pad, the Bluetooth Laser Mouse delivers precise cursor movements with quality 1200 dpi laser technology. The Bluetooth Laser Mouse for Mac measures 4.64" x 2.51" x 1.45", weighs 4.4 oz and has an MSRP of $69.99. The first Mac-specific presenter on the market, Targus' innovative Bluetooth Presenter for Mac includes numerous features designed to improve the presentation experience. The intuitive button configuration provides ease of use and prevents accidental button presses, with primary presentation controls such as previous slide, next slide and laser pointer easily identifiable from tactile cues; secondary functions like blank screen and slide show are recessed and out of the way. Versatile functionality switches easily from Presentation Mode to Cursor Mode, for use like a mouse, with touch scroll technology delivering smooth, effortless navigation through lengthy spreadsheets, PDF documents and other projected applications. Compatible with both Keynote® and PowerPoint®, the Bluetooth presenter for Mac includes remote control for adjustment of volume and other functions plus two programmable buttons that give users quick access to applications or functions of their choice. Additionally, the Bluetooth Presenter for Mac includes a laser pointer, allowing users to call attention to important information within their presentation. Bluetooth technology delivers wireless control of presentations from a distance of up to 33 feet and the Presenter's comfort-conscious design reduces strain due to the ergonomic placement of its buttons. The Bluetooth Presenter for Mac measures 5.1" x 1.65" x .98", weighs 3.7 oz and has an MSRP of $79.99. Expanding user's USB ports to accommodate connection of up to four devices, the one-of-a-kind, stylish USB Hub for Mac supports USB 2.0 and is useful for anyone with multiple connection needs. The convenient wrap-around cable secures around the perimeter for a sleek appearance and protects the hubs from tiny debris or damage, making the Hub a perfect, compact travel companion. The USB Hub for Mac measures 3.5" x 1.7" x .75", weighs 1.8 oz and has an MSRP of $29.99. Specifically designed for Mac notebooks, Targus' new Chill Mat for Mac has two USB powered fans that are strategically placed for optimal cooling. Users can place their Mac notebooks at a tilted angle for ideal positioning and comfortable viewing on their lap or desktop. The soft mesh bottom allows for optimal air flow for comfortable use on the lap; the powerful yet quiet dual fans prevent heat damage when used on other work surfaces. The Chill Mat for Mac includes a conveniently placed power switch and accommodates up to 17" Mac notebooks. The Chill Mat for Mac measures 15.15" x 11.22" x 1.45", weighs 1.6 lbs and has an MSRP of $49.99. Ideal for transferring large amounts of digital content including videos, music, images, or files, the File Share Cable for Mac simply plugs in and starts working without the need to install any software or drivers. Once connected via USB, simply drag and drop files between computers and the transfer is complete. 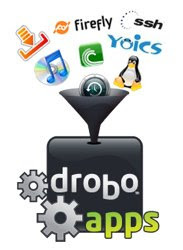 The built-in software allows users to simply plug in the cable between a Mac or PC to another Mac or PC and easily transfer documents or files. The File Share Cable for Mac measures 3.3" x 1.3" x .51", weighs 1.7 oz and has an MSRP of $49.99. At the local coffeehouse, airport, or in an office environment, keep prying eyes away and your content secure with Targus' Privacy Screens for Mac. By narrowing the viewing angle with microscopic vertical blinds, information is only visible to the person sitting in front of the screen. With the option to attach with the provided double-sided adhesive, for semi-permanent mounting, or transparent tabs that allow for easily sliding it on and off, the Privacy Screen for Mac is easy to take on the road or use in the office. The anti-glare feature additionally reduces eye-strain that can occur from computer use. Available in all three standard screen sizes (13", 15", or 17") the Privacy Screen for Mac also shields screens from unwanted smudges and scratches. The Privacy Screen for Mac has an MSRP of $49.99 for the 13" (ASF133W1US), $59.99 for the 15" (ASF154W1US) and $79.99 for the 17" (ASF17W1US). All products are backed by a limited one year warranty. These and other Targus' accessories are available at Targus.com as well as through leading retailers, VARs, e-tailers, and direct marketers.